Beerkada Comics » Beerkada visits Mellow 94.7! 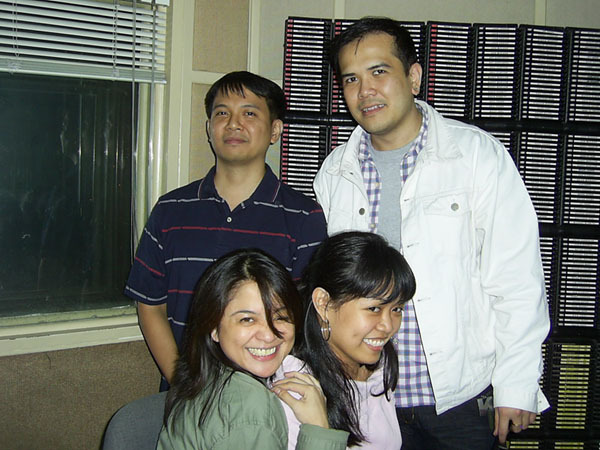 Chompy asked me to accompany her to her favorite radio station Mellow 94.7 along EDSA corner Reliance St. She already befriended the night DJs Marco and Ms. D. in previous encounters, while trying to score freebies during their on-the-air contests. They were both delighted to see her again, especially after she gave them complimentary Beerkada books. 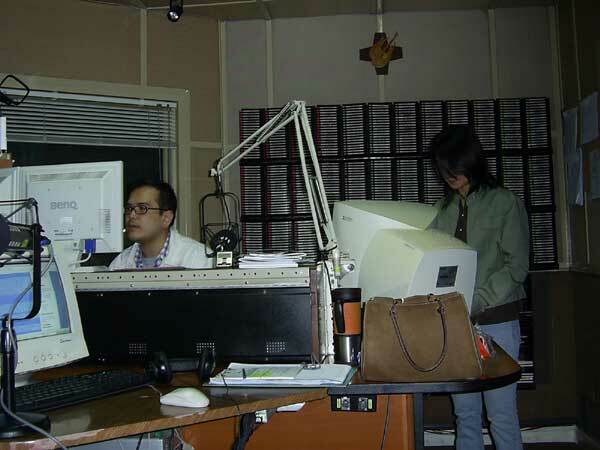 The two even interviewed me on the air, where I related some stuff about the comic strip. Afterwards, the DJs gave us free tickets to Meet the Spartans in Megamall, this coming Monday night. Marco then related the poltergeist activities in their offices during his shift. Thanks, you two! You two were lots of laughs! I’m sure the experience will make it in the strip. DJ Marco says that during his solo stints in the booth, he finds the phone machine off the hook. After replacing it and stepping out, he returns to find it off the hook again. A staff member with a third eye says there was an old female ghost in the offices, but she’s harmless. Man, creeepy…I’m crossing out DJ in my career possibility list if those are the hours we have to keep. where is mellow 94.7 located? the exact address or contacts at least.. will apreciate it if you email me the info. jfk_p3@yahoo.com. thank you thank you very much guys.. Godbless.